Great Chilean food calls for some classic and traditional Chilean recipes. You don’t have to be a mamita who has been cooking in a Chilean kitchen for years to make some delicious recipes. 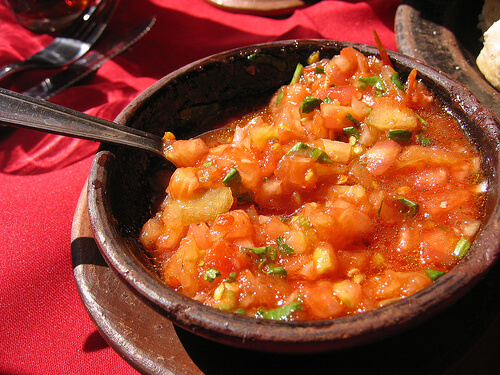 What’s One of Your Favorite Traditional Chilean Recipes? 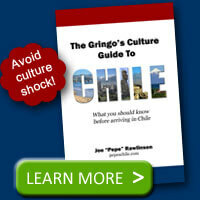 I’ve only listed a few traditional Chilean recipes here. What are some of your favorites? Do you have a great recipe you’d like to share? If so, please leave a comment. Not really a recipe so much as instructions for assembling: we like to serve chorrillana, family-style, on a platter with 4 forks. We make a batch of oven-fried french fries, top them with well-cooked thin-sliced onions and lots of bite-size pan-seared well-seasoned steak, top that with a couple fried eggs. Chilean bar food es La Mejor!! @Anne – That chorrillana sounds great and so easy any one can make it! Thanks for sharing. Hi Pepe, we’d love a sopaipilla recipe to go with the pebre! Chilean machas a la parmesana are to die for. Trouble is you can’t really get true machas in the US. Also, how could you forget pastel de choclo or chupe de locos? 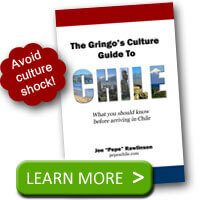 Can you still get locos in Chilean restaurants or in the fish market? @Bob – pastel de choclo is great. Thanks for mentioning that. The last time I walked through a fish market in Chile I did see locos. Hello Pepe! I Lived in Chile for a year and I loved, machas a la parmesana, Crudo From Valdivia. Back at home I love to make chicken with merken (you can replace it with chili flakes or chili powder), mustard, and honey. @Ale – that sounds delicious. Thanks for sharing!